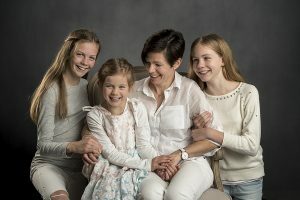 We are happy to announce that this year National Family Portrait Month which is in July 2018 is raising funds for the Make A Wish Foundation. What The Make A Wish Foundation Do. The foundation makes the cherished wishes of children and teenagers battling life-threatening medical conditions come true. A wish is vital. They carefully design each one to build anticipation and resilience to help a child in the fight for their health. They have been granting wishes in Australia since 1985. That’s 2,000 really sick kids and teens who need the healing power of a wish. We need to grant four times the number of wishes if we are to reach every seriously ill child. They don’t receive any government funding – without our supporters, wishes simply wouldn’t be able to come true.